As the season of giving rapidly approaches, selecting which charities to donate to may seem like a daunting process. With hundreds of charities all appealing for donations during the holidays, it may be difficult to know which ones are reputable and where best to donate your hard-earned money. Illinois State University employees have the opportunity to donate through the SECA campaign to nearly 2,000 local, state, national, and international charities that have been vetted through the state. One way employees may narrow down which organizations to give to is choosing a particular group that is struggling. Food banks are always in need of supplies during the holidays, and donating to Wesley Evening Food Pantry or Northern Illinois Food Bank are options to help our Illinois neighbors. To some people, the season of giving means helping veterans who are struggling to adjust to civilian life. There are over 15 charities designated to providing aid to soldiers, including Wounded Warrior Project Inc. and Veterans Transitional Center located in Freeport. You may also donate to holiday-themed charities like Toys for Tots through the SECA campaign, and positively impact a child’s Christmas. Grant-A-Wish is another organization that focuses specifically on helping children in the Chicago area; your gift could provide a child in need with a Thanksgiving meal or Christmas presents. SECA also has a variety of charities that benefit animal shelters and humane societies. Your holiday gift could benefit PetSmart Charities or DeKalb’s Tails Humane Society. Donating to charities through the SECA program is one way to make sure your contributions benefit a special organization or cause during this holiday season. 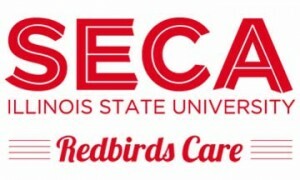 For more information about the SECA campaign and a full list of charities, visit the website. The campaign runs through November 8.